season at the Neck colony. 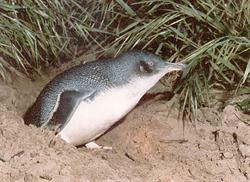 As the numbers of returning penguins increased as the breeding season progressed, so did their adoption and use of the culverts, so that by the end of the season in January 2018, very few birds were recorded with cameras along the fence line on the roadside. Read the full report by Dr Eric Woehler, Peter Vertigan and Regi Broeren of Birdlife Tasmania here. 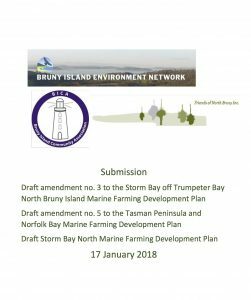 Three community groups on Bruny Island joined to call for a moratorium on proposed expansion of finfish farming in Storm Bay. Bruny Island including Storm Bay. The moratorium objectives are included in their joint submission regarding Huon Aquaculture, Tassal and Petuna’s expansion plans in Storm Bay lodged on Wednesday 17th . Spokesperson for the groups Mr. Gerard Castles Vice President of FONB said,“We are NOT trying to stop fish farms, but we want a truly sustainable approach to finfish farming in the Bruny bioregion.” What we are calling for is a moratorium until such time as finfish farming is considered in relation to all other uses and users of resources in the waters surrounding Bruny Island and across Storm Bay. “Our own research has shown that what is planned around Bruny is a massive expansion and we are calling on Minister, Jeremy Rockliff, to put a moratorium on finfish farming expansion until community concerns are addressed” The argument is not about marine farming per se. It is about the use, development and management of all resources in the Bioregion. See the joint submission here. 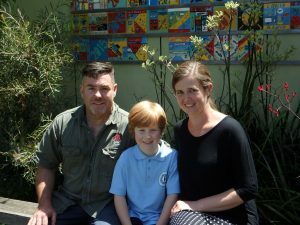 It was with great pleasure that I presented the Shaun Bromfield Environmental Champion Award to Felix O’Meara at the Bruny Island District School Final Assembly on Dec 18th. This is an annual award donated by BIEN in memory of founding member, Shaun Bromfield. Felix is a fine young champion who at a very young age has displayed a passion and regard for the environment. He is a keen participant in school environmental activities and has assisted in wider community events such as the annual gull count. Excellence in the skills of awareness and observation. Has researched around an environmental issue. Has used these skills in a practical way to inspire others, or to achieve a better outcome for the environment. Felix not only received a cash prize for himself but also two books donated for the school library in honour of his great work. Well done Felix! Community groups on Bruny Island have voted to withdraw from the Government’s tourism planning process. 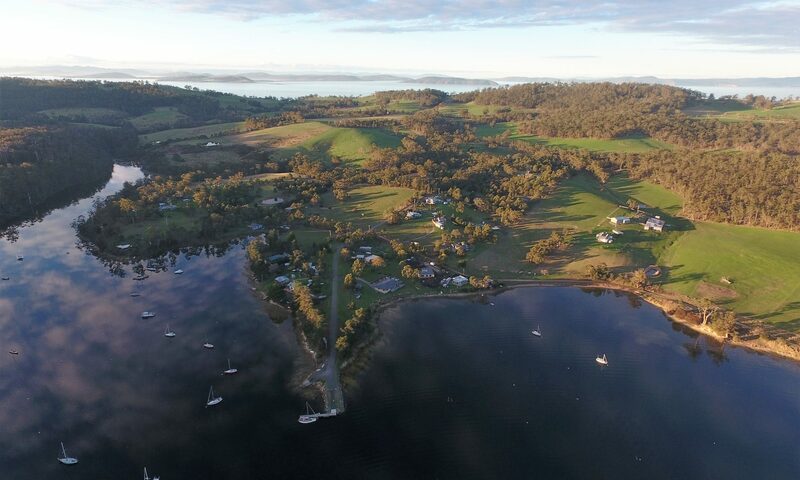 The Bruny Island Community Association (BICA) and the Bruny Island Environment Network (BIEN) have taken this stand because they say that the current tourism destination planning process does nothing to address the capacity of the Island and its people to cope with a massive increase in visitor numbers. Overseas and interstate visitors to the Island have increased by 75% over the last 2 years. In this article Jenny Boyer gives an update on the Federally funded feral cat project, Kingborough Council progress on domestic cat control, the recent Wildlife Monitoring project and suggests the use of Feral Scan phone app to record any sightings you have of feral species on Bruny. “At the end of May I attended a meeting of the Steering Committee for this Project and was again amazed at the breadth and support around the table with DPIPWE, Parks, Kingborough Council, Ten Lives Cat Centre (Hobart), UTas, Tasmanian Land Conservancy and the Threatened Species Recovery Hub sharing their knowledge and experience. Staff from the Federal Office of Threatened Species and Department of Environment participated by phone hook-up. The Federal funding contribution requires the project to demonstrate both, a reduction in feral cat numbers and data to inform the impact of cat control on the numbers of threatened and conservation significant species. This is difficult to quantify without knowing what you have to start with. Camera monitoring has identified many cats, including new litters, with 5 different cats identified on 1 camera near the viewing walkway. Of the 34 cameras at the Neck, 26 have detected at least 1 feral cat and the actual numbers of individual cats are currently being verified.